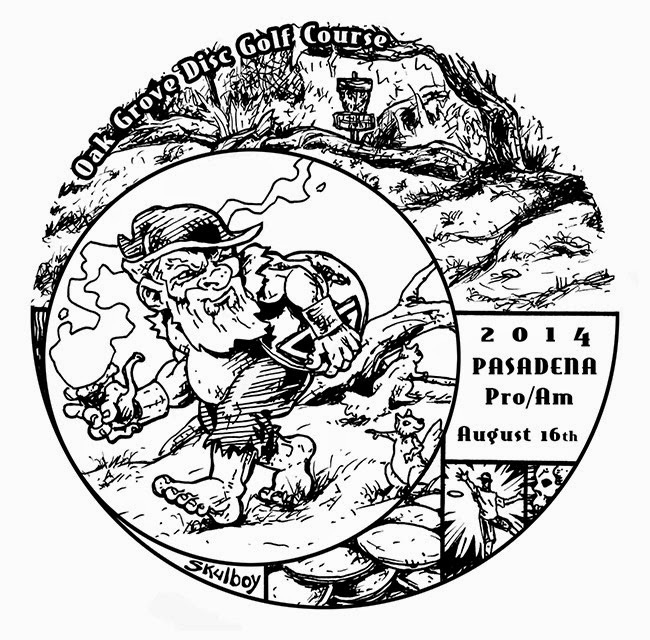 After doing the stamp design for the Oak Grove DGC Pasadena Pro/Am tournament, the Tournament Director, Jeff Nyerges, asked if I was interested in doing something for the trophy. 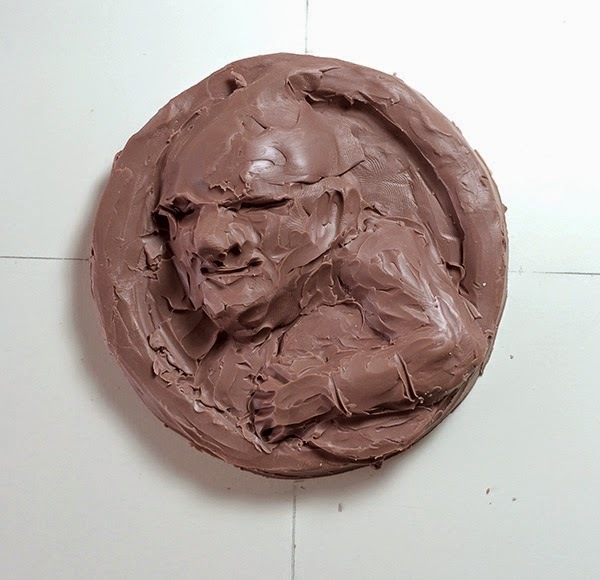 Roughed in, 4" diameter relief in Monster Clay. 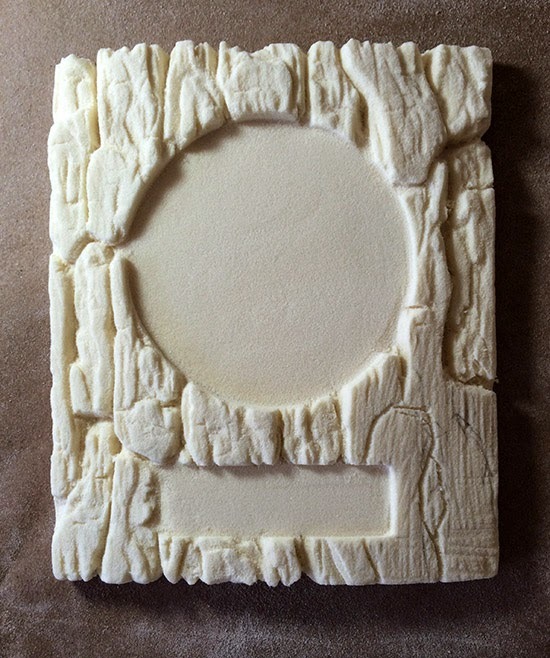 The plan was originally to attach the relief to a standard trophy base. 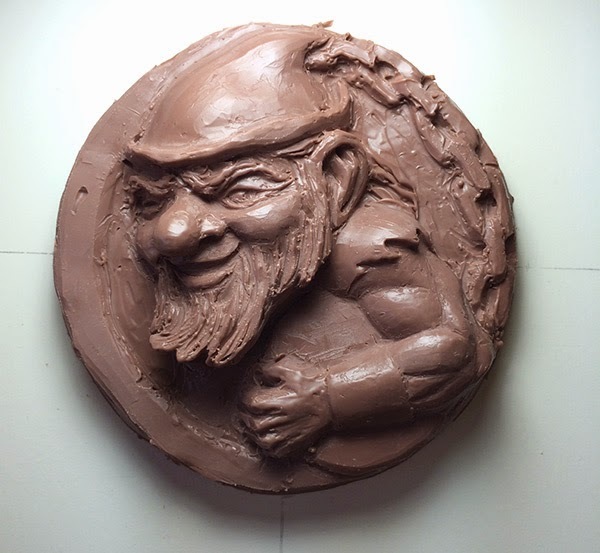 Thanks to Mark at Cooler Heads, the idea changed to a sculpted plaque to frame the disc. Oak tree bark frame in process. Carved in urethane foam. 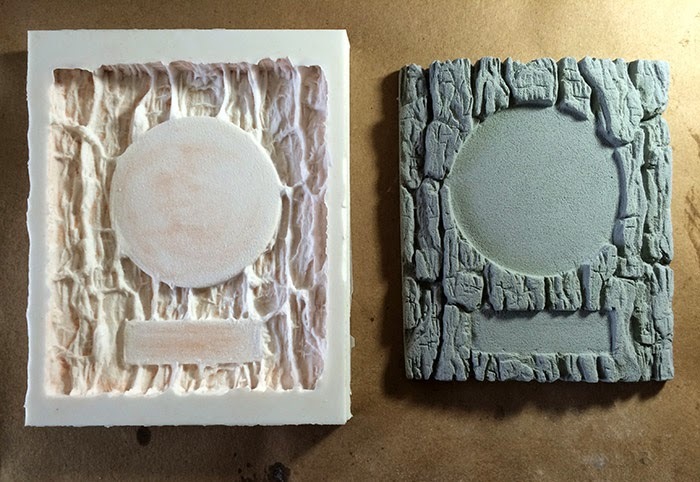 Smooth-On silicone mold and bark plaque casting. 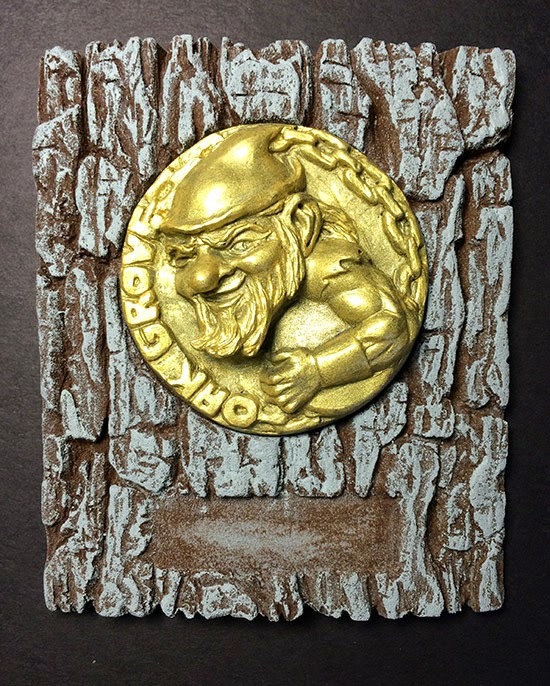 Disc Gnome medallion was primed in black and painted with 2 coats of metallic gold. Final version ready for name plates. Lined up at the tournament. 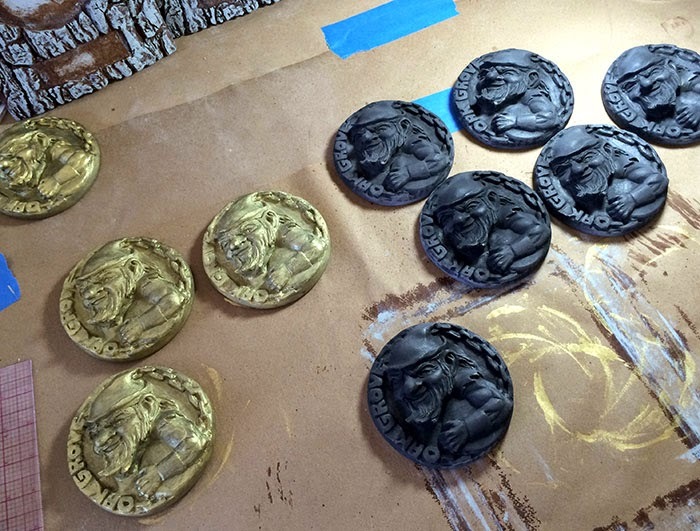 Overall, 10 were hand-made for the 1st place winner in each division. 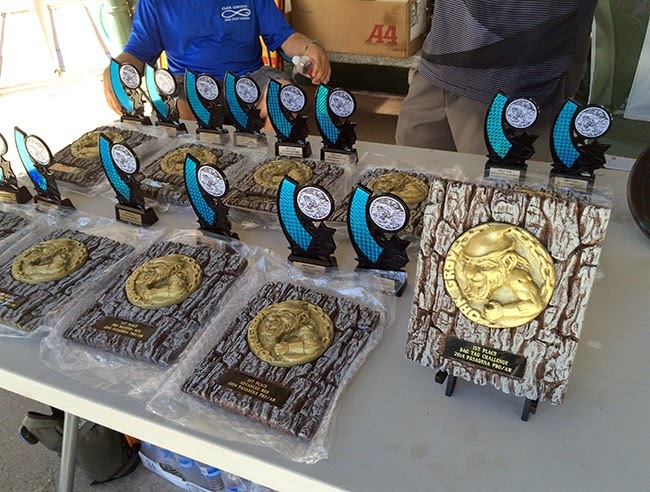 Despite sweltering heat, the tourny was extremely well run and a total blast. Great day of Disc Golf competition.